Are you getting the most out of your PetRescue membership? 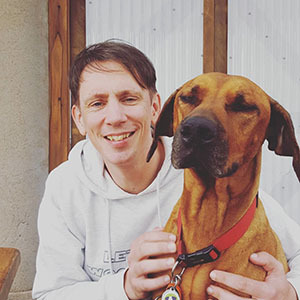 PetRescue membership comes with loads of perks, including free flights for pets in need, extra promotion for hard-to-rehome pets and fab freebies like the recent $1 million pet Mars Petcare food donation. With three free flights available every month, be sure to get in touch with us about how we can help you extend a lifeline to pets in need. Hundreds of rescue pets have benefited since our partnership with Jetpets kicked off in 2007. Perhaps you have a long-termer who’s only suitable adoption interest has come from interstate. Maybe there’s a pet at risk who needs access to specialist treatment in a different city. Or maybe you’re exploring opportunities with like-minded groups in different states to move pets from places of low demand to places of higher demand. 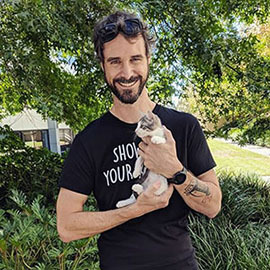 The PetRescue and Jetpets partnership has seen death row kittens transferred from Queensland’s year round kitten season to South Australia where they were adopted in just four hours, lost pets reunited with their families, and old dogs given the chance at a new lease on life. If you’re a rescue group, shelter or pound with a pet that requires relocation for adoption, please contact the PetRescue team at flights@petrescue.org.au. That’s right, more than 1.35 million pet seekers have visited the PetRescue website in 2016, and we’re only halfway through the year! That’s a lot of potential adopters looking for a rescue pet to love. Are you giving the pets in your care the best chance at making one of these pet seekers fall in love? Check out our tips on how to write a great pet profile, how to snap a great photo, and our guide to quick and easy adoption enquiry responses. Fab freebies and excellent events! Last month saw $1 million of premium pet food delivered to rescue groups around the nation, and we’re working on even more deliveries for the coming months! The National Pet Adoption Day was a great success, and the National Pet Foster Day is coming up in September. Both are unique opportunities to promote your rescue and of course the pets in your care. Connect with us and make the most of media opportunities through our partners. We are often contacted for PR opportunities, TV appearances, book features - all great ways for your group to get some publicity and promote adoption to the pet-loving public. If you’re struggling to maintain information across several sites and don’t want to double-handle data, the PetRescue feed could be the answer. It’s an easy way to streamline your web activities and free up some time for more important things (like cuddling puppies). Find out more here. We can help promote hard-to-rehome cases and long-termers by featuring on our website and Facebook page, with over 118,000 followers. Our professional writers can help polish up a profile and share tips to help your pets shine. Get in touch via members@petrescue.org.au to find out more. We’ve secured an amazing deal on public liability insurance, and this heavily discounted rate is available exclusively to PetRescue members. That way you can get the cover you need at a price you can afford. Find out more here. We’re tirelessly looking for new ways to put foster and adoption in the hearts and minds of the pet-loving public. The PetRescue Workplace Foster Care Program is just one of these initiatives. Get with the program here. These perks are all part of your PetRescue membership, and there’s always more in the pipeline, so please keep a regular check of your emails, and make sure members@petrescue.com.au, info@petrescue.com.au and notifications@petrescue.com.au are on your safe list - you really don’t want to miss out!